"Her Eyes Are a Blue Million Miles"
Last edited by Terrapin_Station; 10-11-2016 at 02:15 PM. 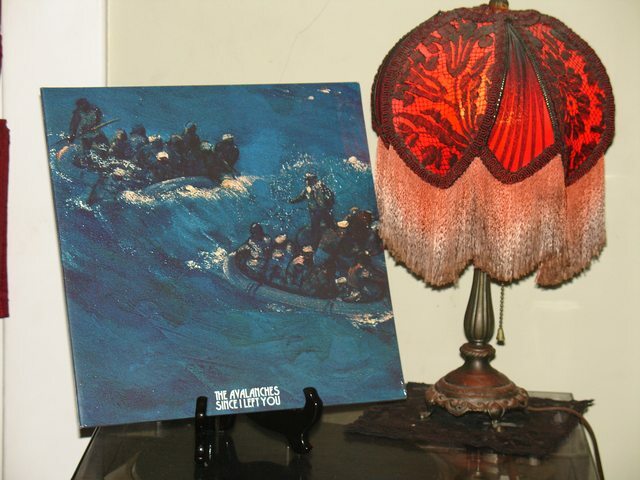 Now playing (with great satisfaction) - The Avalanches' Since I Left You on vinyl. Ordered July 24th, 2016, this has been the longest stretch of anticipation in recent memory but today it finally reached its conclusion. Placed my order from a shop the UK. Arrived damaged. Returned overseas with receipts signed in triplicate. Sent in, sent back, queried, lost, found, subjected to public inquiry, lost again, and finally buried in soft peat for three months and recycled as firelighters until FINALLY TODAY I received a clean copy. And thus ends my post-modern interpretive reenactment of Around the World in 80 Days. OMFG this song is so heavy and savage! Last edited by Terrapin_Station; 10-12-2016 at 05:48 AM.